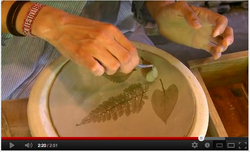 This is a one time trial lesson to create a daily use pottery using a plaster mold. Unlike wheel throwing, anybody can make a stylish bowl easily! Could be a nice present for your special someone? Pick a plaster mold shape that you would like and press the clay onto the shape. 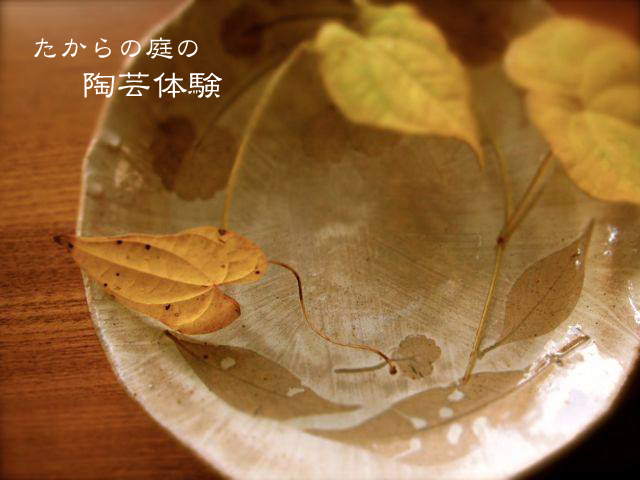 You could add decoration on surface if you would like. 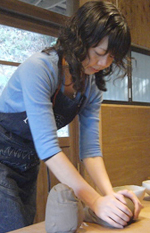 The actual process takes only about one hour, so please stop by on the way to your sightseeing in beautiful Kamakura. We will fire your creation and deliver it to you on a later day. We are sure that the one and the only your hand-made bowl will brighten your dining table from the day it is delivered to you! 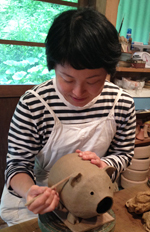 Takara no Niwa was a studio for a female ceramic artist around 1935 to 1960s. There is still a wood kiln and a red chimney left from that time. 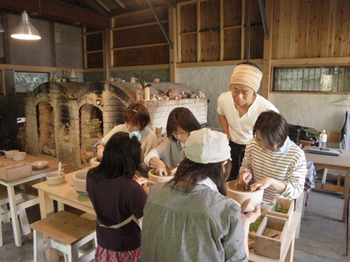 Since last fall, we created a small workshop space by the wood kiln for people to casual enjoy the pottery making. 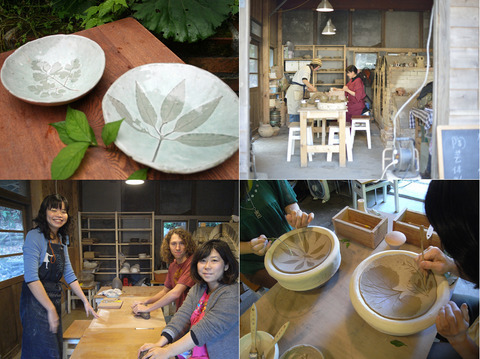 Feeling the nature surrounding the garden, why don't we spend a little time to have a dialogue with clay? Please make the reservations at least 3 days prior to the date of your choice. We will reply to confirm your reservation within a couple of days. If you do not hear back from us, please contact us again in case there is a mail trouble.